Pelyn Barn Farm Holiday Cottages - superb self catering holiday lets close to Lostwithiel, Fowey, Bodmin Moor and the Eden Project. 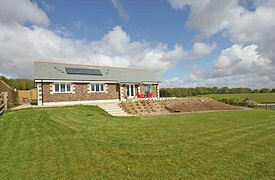 Woodland View (sleeps 4) is a brand new barn conversion offering the height in comfort and style with far reaching views across rolling Cornish countryside towards the south coast of Cornwall. 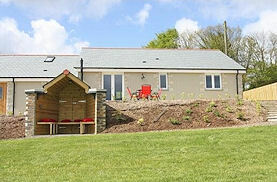 Valley View (sleeps 4) sits at the head of a beautiful lush green valley. This brand new barn conversion has far reaching rural views as far as the eye can see which can be enjoyed from the comfort of the settee or out on the expansive private terrace. The Eden Project is only 4 miles away, and there are golf clubs, leisure/tennis centre and country walks within easy reach. The South Cornish coast has quaint fishing villages and sandy coves to explore.